Over the last few years, prices for livestock feed has steadily risen for various reasons, making it more difficult to feed our chickens the organic diet we prefer they have. In order to cut costs, we looked into creating a fodder system that would sprout seeds such as wheat, barley, oats, clover, dandelion, alfalfa, sunflower seeds, and corn. Similar to sprouting seeds for our own nutritional benefit, we wanted to do the same for our livestock. 1 pound of seed can grow up to six or 7 pounds of fodder thus providing you with more nutrient dense food for your livestock. Sprouts provide the highest amount of vitamins, minerals, proteins, and enzymes of any of food per unit of calorie. Enzymes are essential because they heal the body, cleanse the body, prevent diseases, enhance the general functioning of bodily organs, aid in digestion, and remove gas from the stomach. This will help your livestock stay healthier in the long run and give them a natural diet in the process. Of course, the increase in these wonderful benefits varies grain to grain. All livestock animals can benefit from a fodder-rich diet. Creating a fodder system for small livestock such as goats, rabbits and chickens can be maintained on a small scale. They will love this green treat and you will love how economic it is compared to buying large bags of livestock feed on a monthly basis. You can literally cut your feed bill in half by growing fodder! Gather the seeds you want to sprout and soak them in water overnight. In the morning, drain the seeds and cover with a plastic cover. Place them in the sprouting trays in a sunny location. Water up to 3 times a day – never allowing the seeds to dry out. By day 7, the roots of the seeds will have intertwined and you will be able to peel the fodder out of the pan. This video shows a great way of creating a weeks worth of feed for livestock using a shelving unit, plastic bins and cut PVC pipe. Growing fodder requires certain temperatures in order to grow properly. 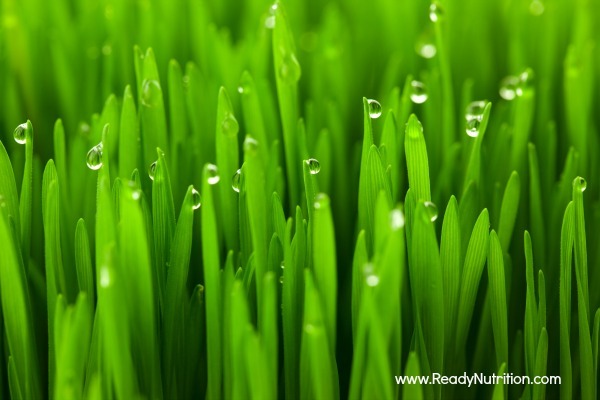 Plan on fodder growing between 65-75 degrees F.
Water up to three times a day. Do not reuse your water as this can pass food-borne illnesses to trays. You want to avoid feeding your chickens dry beans as they contain toxins. Here are some other foods to avoid feeding your chickens. Fodder is usually finished growing in 7-8 days. When sprouted grains are 6-7 inches high, they are ready to be harvested and fed to livestock. Creating your own fodder system is an economic solution to ensuring your livestock receives a well-rounded diet. Best of all, the upkeep is minimal at best and you don’t use as much feed using this feeding process. This nutrient-dense diet will keep your animals healthier and happier in the process, thus reducing vet bills. Keep these tips in mind and create an ever-growing fodder system for your livestock.